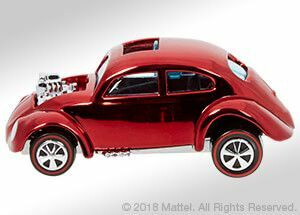 As a celebration of the brand's 50th anniversary, Hot Wheels will sell 1,500 display cases containing the original set of 16 cars that toymaker Mattel released back in 1968. 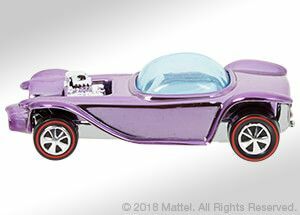 All of the cars have been recreated using their original castings and feature retro details such as redline tires and black vinyl roofs. 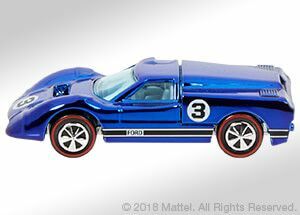 The only way to get a hold of these Hot Wheels will be to buy the complete set, which will set customers back $499.99. 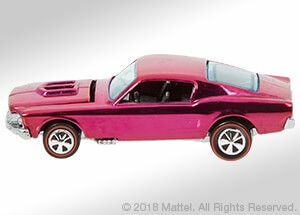 The collection features some officially licensed muscle cars, as well as original creations by Hot Wheels for which the brand became known. 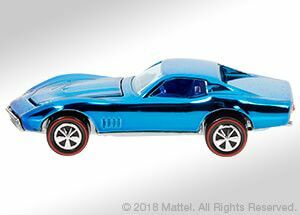 Real world-inspired cars include miniature versions of a 1967 Pontiac Firebird convertible, '67 Plymouth Barracuda, '67 Chevy Camaro, '68 Corvette Stingray, '67 Mercury Cougar, '67 Cadillac Eldorado, '68 Ford Mustang, '67 Ford Thunderbird, a Ford GT40 "J-Car," and a heavily modified Volkswagen Beetle dragster. 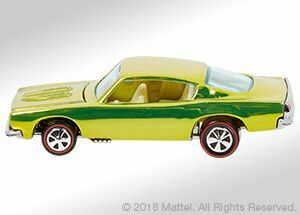 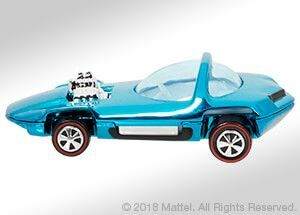 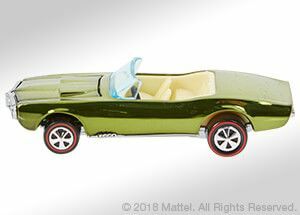 The original Hot Wheels cars in the set are the bubble-topped Beatnik Bandit and Silhouette, the speedboat-shaped Cheetah, the Fleetside ute, a Model T hot rod called Hot Heap, and the Dodge Deora concept, complete with surf boards. 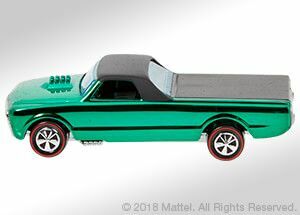 The box that the cars come in is also an important part of the set. 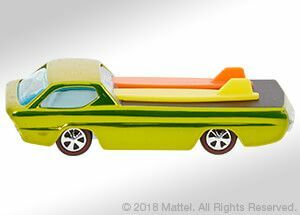 It is a replica of the showroom display case that Mattel used to promote Hot Wheels in 1968. Each car gets its own stand within the box, and the set includes an integrated storage drawer for those who don't feel like showing the collection off. 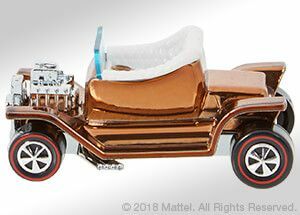 The 50th anniversary set will only be sold through the Hot Wheels Collectors website. 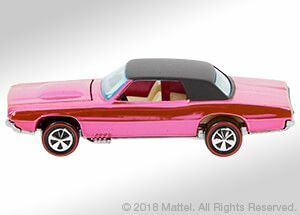 On Nov. 6, it will be available for sale to those who are signed up to the brand's "Red Line Club." 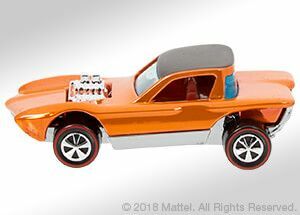 If it hasn't totally sold out by then, on Nov. 8, the set will be made available for sale to account holders on the Hot Wheels Collectors website.